Special Counsel Robert Mueller’s wide-ranging probe into possible links between U.S. President Donald Trump’s 2016 election campaign and Russia has led to dozens of charges against Trump campaign officials, Russian hackers and members of the President’s inner circle. Using indictments, congressional testimony and official accounts, we have pieced together a timeline of the key events surrounding the Justice Department’s complex, two-year investigation. June 16: Real estate mogul and reality TV star Donald Trump announces he will run for U.S. president in 2016. Oct. 28: Mr. Trump signs a non-binding letter of intent with a Russian real estate developer to build a Trump Tower in Moscow. The deal ultimately falls apart, but whether negotiations continued throughout the 2016 presidential campaign – when Mr. Trump was pushing for closer ties to Russia – is the source of much debate. July 28, 2016: Hillary Clinton celebrates her nomination at the Democratic National Convention. March: Employees of a Russian military intelligence agency known as the GRU hack the e-mail of several of Hillary Clinton’s presidential campaign staffers, including chairman John Podesta. They also hack into the Democratic National Committee’s computer servers, stealing tens of thousands of documents and e-mails. March 14: George Papadopoulos, a Trump campaign foreign policy adviser, first meets with Joseph Mifsud, a Kremlin-linked academic. Mr. Mifsud tells Mr. Papadopoulos about thousands of hacked e-mails belonging to the Democratic Party, and offers to help arrange a meeting between Russian officials and the Trump campaign. April: The Internet Research Agency, an online political propaganda organization based in St. Petersburg, Russia, starts buying ads on social media sites such as Facebook, YouTube and Twitter, backing Mr. Trump and opposing Hillary Clinton. The organization had been preparing since at least 2014 to sow discord in the upcoming U.S. presidential elections, federal prosecutors say. Paul Manafort, then Donald Trump's campaign manager, looks on at the Republican National Convention in Cleveland in 2016. May 19: Paul Manafort, a long-time political consultant and lobbyist who previously worked for Viktor Yanukovych, the pro-Russian former president of Ukraine, is named chairman of the Trump campaign. Mr. Manafort shares internal Republican Party polling data with a Russian-Ukrainian business associate, Konstantin Kilimnik. The two also discuss a plan for peace in Ukraine. Federal prosecutors say Mr. Kilimnik has ties to Russian intelligence agencies. June 9: The President’s son, Donald Trump Jr., his son-in-law Jared Kushner, and Mr. Manafort all attend a meeting in Trump Tower in New York to discuss damaging information about Ms. Clinton. Among those in attendance is Natalia Veselnitskaya, a Russian attorney who has ties to the Kremlin. June: A Romanian blogger going by the name Guccifer 2.0 and the website DCleaks.com begin to publish stolen Democratic Party e-mails. U.S. investigators later say Guccifer 2.0 and DCleaks.com are fronts for Russian intelligence agents. July 18: Alabama Senator Jeff Sessions, who chairs the Trump campaign’s national security advisory committee, speaks with Russian ambassador to the U.S. Sergei Kislyak during a reception at the Republican National Convention. The two meet again in September in Mr. Sessions’ Senate office. July 21: Donald Trump officially accepts the Republican Party’s presidential nomination. Roger Stone, shown in 2017. June-July: Roger Stone, a veteran Republican political consultant and informal adviser to Mr. Trump, tells campaign officials he is aware that WikiLeaks has documents that could be damaging to Ms. Clinton’s presidential campaign, according to a federal indictment. July 22: WikiLeaks publishes 20,000 e-mails stolen from the Democratic Party computer servers. The organization continues to release the hacked e-mails throughout the presidential campaign. Democratic National Committee chair Debbie Wasserman Schultz ultimately resigns after the leaked e-mails show her discussing ways to damage Ms. Clinton’s Democratic presidential opponent, Bernie Sanders. July: The FBI opens a counterintelligence investigation into the Russian campaign to influence the presidential election and potential ties between members of the Trump campaign and Russia. Aug. 19: Paul Manafort resigns as Trump campaign chairman after coming under fire for past work for pro-Russian politicians in Ukraine. Nov. 8: Mr. Trump is elected President. Nov. 18: Mr. Trump says he plans to appoint Army Lieutenant-General Michael Flynn as his national security adviser. November and December: Mr. Flynn and Russian ambassador to the U.S. Sergei Kislyak speak several times. They discuss the Obama administration’s expulsion of Russian diplomats because of interference in the 2016 election, and the shooting of the Russian ambassador to Turkey. Mr. Flynn and the President’s son-in-law and senior adviser, Mr. Kushner, meet Mr. Kislyak in person at Trump Tower in December. Jan. 20, 2017: Mr. Trump and first lady Melania Trump dance at a ball in his honour after his inauguration as President of the United States. Jan. 20: Mr. Trump is sworn in as U.S. President. Jan. 25: The U.S. Senate and House of Representatives intelligence committees both open investigations into Russian interference in the 2016 election. Jan. 27: During a private dinner at the White House, Mr. Trump asks FBI director James Comey for his loyalty. In later meetings he asks Mr. Comey to drop an investigation into Mr. Flynn, telling Mr. Comey: “I hope you can let this go,” according to notes Mr. Comey took on the meeting. Feb. 13: Michael Flynn resigns as national security adviser, admitting he had misled senior White House officials about his contact with the Russian ambassador. He pleads guilty in December, 2017, to charges he lied to FBI investigators. Mr. Flynn becomes the first senior Trump administration official to strike a deal to co-operate with the Mueller investigation. March 2: Attorney General Jeff Sessions recuses himself from any investigation into Russian political interference after coming under fire for not disclosing details to Congress about his meetings with the Russian ambassador in 2016. The President continues to publicly attack Mr. Sessions for stepping away from overseeing the Justice Department’s investigation. James Comey testifies on Capitol Hill in March, 2017. March 19: FBI director James Comey confirms to the House Intelligence Committee that his office is investigating Russian efforts to meddle in the presidential election, along with possible links between the Trump campaign and the Russian government. May 9: The President fires Mr. Comey, citing a memo from Deputy Attorney General Rod Rosenstein criticizing how Mr. Comey handled an investigation into Ms. Clinton’s use of a private e-mail server when she was secretary of state. May 11: Mr. Trump tells NBC’s Lester Holt he had decided to fire Mr. Comey before the Justice Department recommendation, in part because of the FBI’s investigation into Russian interference. “When I decided to just do it, I said to myself, I said: ‘You know, this Russia thing with Trump and Russia is a made-up story,’” the President says. May 17: Under fire from Democrats and some Republicans for his role in Mr. Comey’s firing, Mr. Rosenstein appoints Robert Mueller, a former FBI director, as special counsel to oversee the Russia investigation. Mr. Muller has broad powers to investigate wrongdoing without the control that an Attorney General might typically wield over regular federal prosecutors. A booking mug shot from police in Alexandria, Va., shows George Papadopoulos, the first person arrested in the Mueller probe. May 18: Mr. Trump accuses the Mueller probe of being “the single greatest witch hunt of a politician in American history.” It is the first of many times the President will attack Mr. Mueller and demand that he drop his investigation. July 27: Trump campaign staffer George Papadopoulos becomes the first person arrested in Mr. Mueller’s investigation. Mr. Papadopoulos eventually pleads guilty to lying to investigators about his contacts with Russian nationals. He agrees to co-operate with the Mueller investigation and is sentenced to 14 days in jail. Oct. 30: Federal prosecutors indict former Trump campaign chair Paul Manafort and his associate, former deputy campaign chair Rick Gates, on the first of several charges related to work they did for pro-Russian politicians in Ukraine years before the 2016 election. Mr. Gates ultimately pleads guilty to financial fraud and lying to investigators. He agrees to testify against Mr. Manafort. Mr. Manafort is convicted of several tax and bank fraud charges. He strikes a plea deal with federal investigators on separate conspiracy charges in exchange for co-operating with the Mueller probe, but is later convicted of violating that deal by lying to investigators. 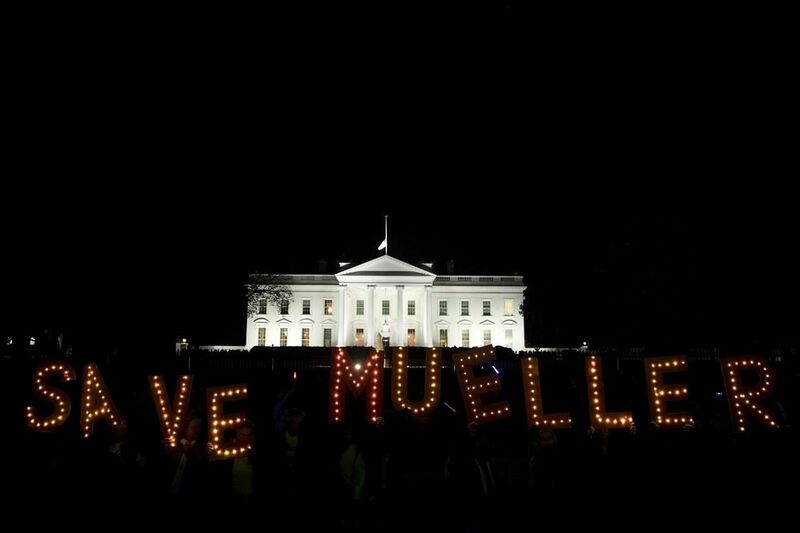 Nov. 8, 2018: Protesters gather in front of the White House for a 'protect Mueller' demonstration. Feb. 16: Mr. Mueller’s team charges 13 Russian nationals and three companies – including the Internet Research Agency – with stealing the identities of Americans and creating fake posts and events on Facebook and Twitter in an attempt to interfere in the 2016 presidential election. April 9: The FBI raids the office and hotel room of Mr. Trump’s personal lawyer, Michael Cohen. Mr. Cohen pleads guilty to several charges relating to payments he arranged to two women to keep quiet during the 2016 campaign about alleged affairs with Mr. Trump. Mr. Cohen later pleads guilty to other charges that he misled Congress, saying he lied “out of loyalty” to Mr. Trump. The long-time Trump loyalist agrees to co-operate with the Mueller investigation. July 13, 2018: Deputy attorney-general Rod Rosenstein announces charges against Russian intelligence officers in Washington. July 13: A dozen Russian military intelligence agents are charged with hacking the computer systems of the Democratic National Committee and Ms. Clinton’s presidential campaign. Prosecutors allege the officials created several social media personas, including Guccifer 2.0 and DCleaks.com, to share thousands of stolen documents. July 16: Mr. Trump and Russian President Vladimir Putin meet in person for the first time for a summit in Helsinki. The two speak privately with only their translators present. In a joint press conference with the Russian president, Mr. Trump says he rejected evidence from U.S. intelligence officials that Russia interfered with the 2016 election. “I have President Putin, he just said it’s not Russia,” Mr. Trump said, adding “I don’t see any reason why it would be [Russia].” He later says he misspoke and that he accepts the evidence that Russia meddled in the election. Nov. 7: Mr. Trump fires Jeff Sessions. The President’s chosen replacement, former Attorney General William Barr, tells a Senate confirmation hearing that he will allow the Mueller investigation to continue. But Mr. Barr doesn’t commit to publicly releasing the full contents of Mr. Mueller’s final report. Feb. 27, 2019: Michael Cohen, Mr. Trump's former personal attorney, testifies before the House oversight and reform committee on Capitol Hill. 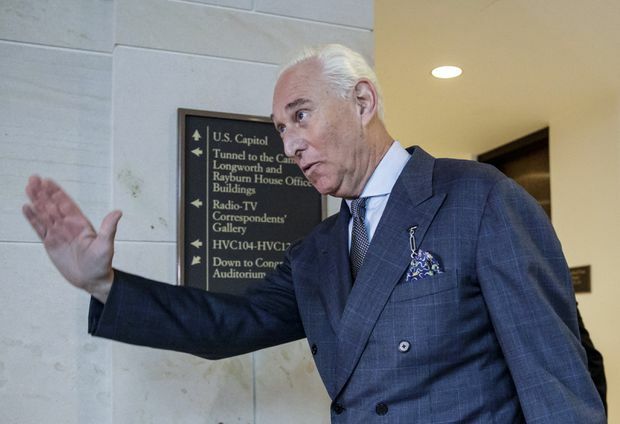 Jan. 25: Roger Stone pleads not guilty to charges of lying to investigators and Congress about his efforts to get access to WikiLeaks and its trove of stolen Democratic Party e-mails. Prosecutors also say that an unnamed senior Trump campaign official directed Mr. Stone to get information about WikiLeaks’ plans to release the hacked documents. 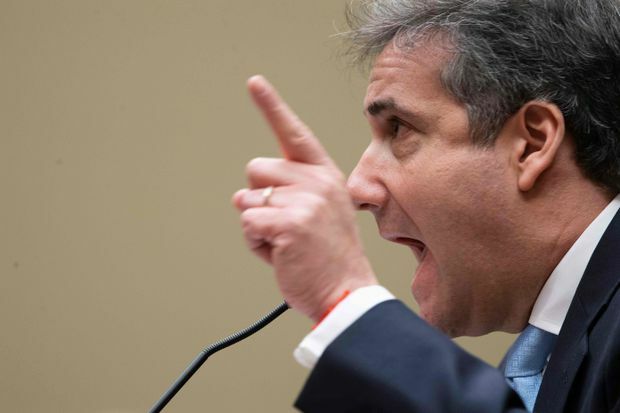 Feb. 27: Calling his former client a “racist,” a “conman” and a “cheat,” Michael Cohen testifies in dramatic public hearings of the House oversight and and reform committee about “illicit acts” by the president. He said that Mr. Trump knew about WikiLeaks’s cache of Democrat e-mails ahead of their release because Mr. Stone told him about them, and that Mr. Trump implicitly told him to lie about the Moscow Trump Tower project. “I am ashamed of my weakness and misplaced loyalty, of the things I did for Mr. Trump in an effort to protect and promote him,” Mr. Cohen said. March 7 and 13: In separate courts in Virginia and Washington, Mr. Manafort is sentenced to a total of seven-and-a-half years in prison for various federal crimes. A New York court also indicts Mr. Manafort for mortgage fraud, a state offence for which Mr. Trump could not offer a pardon. 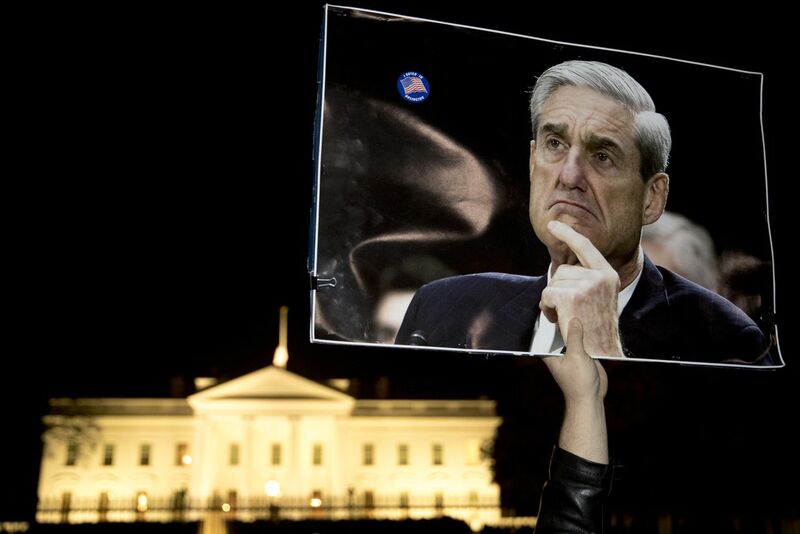 March 22: Mr. Mueller submits a confidential version of his report to Attorney-General William Barr, signalling that the investigation has come to an end.